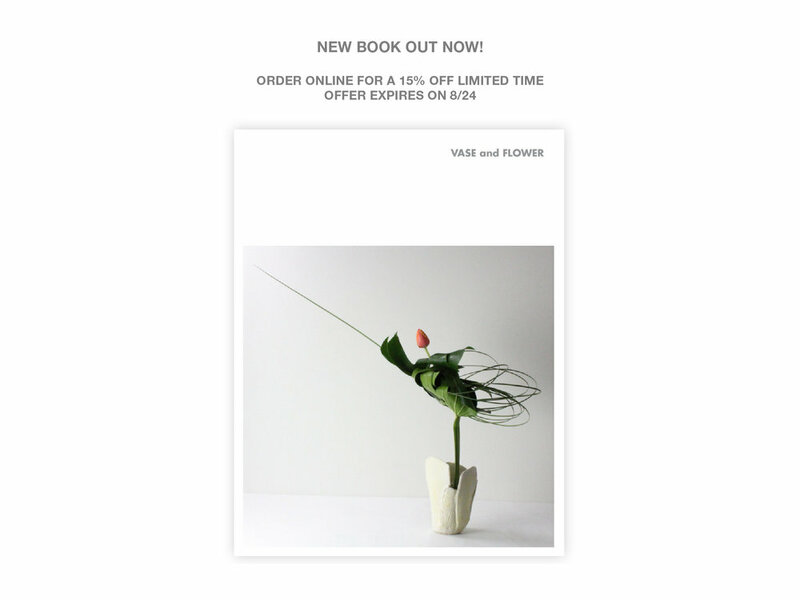 "VASE and FLOWER" book and FAMOUS ASPECT NO.5 the 20th Anniversary Issue are now at Heath Newsstand. "Vase and Flower" is based on a collaboration with 9 floral artists using Akiko Tsuji's 9 unique ceramic vases made for the project. “Vase and Flower” is based on my collaboration with 9 amazing floral artists around the globe capturing their floral arrangements in the vases I’ve created. Every piece is hand made at the studio. 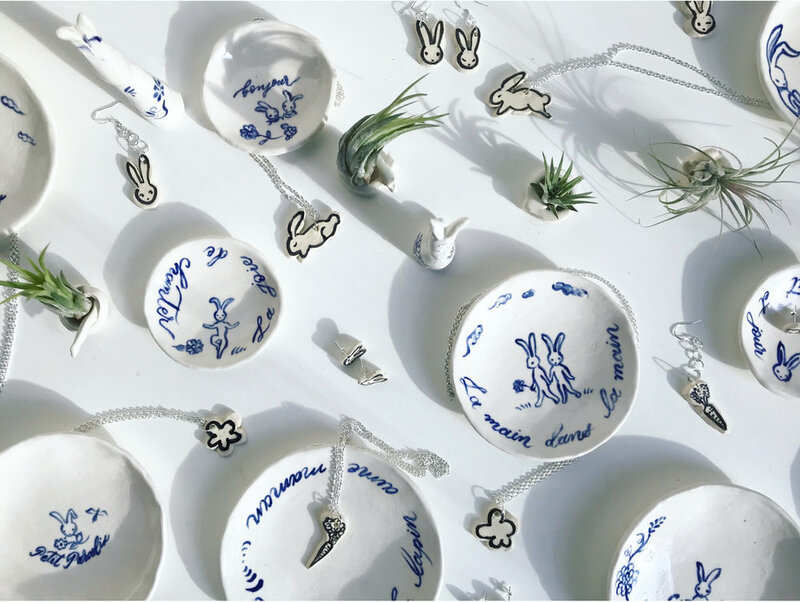 Bunny dishes and accessories made exclusively for Maman NYC. Beautiful book by Paloma Wool. Very excited to be part of this collaboration project. Ceramic objects made for Paloma Wool. Hand made apparel by me are now available at No.97 on Crosby. Check out their beautiful space! Hand built ceramic wares are now available at No.97 on Crosby! Cups and dishes with 22k gold luster are also available. Owner Cyndi Ramirez holding the big "Matisse" mug! Limited edition mugs and vases available only at chillhouse at 149 Essex St. NYC. First shipment has been delivered to the coolest shop in Los Angeles, VIRGIL NORMAL! Stay tuned for more cool pieces in the works! New mini cactus planters are now available at Bell's Coffee and Design in Soho NYC at 30 Grand Street. Excited to announce the first batch of delivery - vases and mini cactus planters! Stay tuned for more new styles to come. The bunny vases are now available for purchase online at Mamannyc.com website! Now you can order yours online and in person at Maman Tribeca location! Akiko x Maman Collaboration is finally here! Stop by Maman Tribeca NYC and shop these limited edition ceramic pieces I created exclusively for Maman at Marché Maman while you enjoy coffee, great pastry and lunch. Made to order available through my shop site. Film by Akiko Tsuji. Music: Happy Monday by La Sellrose Can Can. W Magazine Culture, Art & Design feature. "Here, meet the top seven female ceramicists dominating the art and Instagram scene. See all their stunning pottery, from minimalist to humorous and find out why they stand out from the pack on social media." Click here to view the story. Film by Akiko Tsuji. Model: Amanda Wong. Music by Yukihiro Takahashi. To purchase the Black and White Spoons click here. Click here to view the full article. Click here to purchase this vase.